The soft-drinks giants, Pepsico and Coca-Cola, suffered a decline in sales of colas in India in the beginning of the year 2006 after an environmental group, Centre for Science and Environment (CSE) claimed to have found pesticides in their drinks upto 50 times the permissible health limits. These companies issued a number of press statements and conducted many publicity compaigns in India claiming that their beverages were perfectly safe. The Union Health Ministry’s expert committee also observes that Coke and Pepsi were safe. CSE, in turn, criticised the expert committees findings and said that 11 of Coke and Pepsi drinks contained average pesticide levels that were 24 times higher than the limits agreed by the Indian government. Despite health ministry’s clean chit to colas, several States continue to ban or restrict Coke and Pepsi. However, the pesticide controversy adversely affected the sales of both Coke and Pespi as consumers started watching their diet more closely. Organic food products suddenly became popular as the healthier option. By definition, organic means fruits, vegetables, foodgrains and processed products that have been produced with no pesticide or inorganic fertilisers. Meanwhile the soft drinks giants have been continuously advertising and trying to convince the consumers about the safety of their products. The Pepsi Cola controversy raises an interesting question: Why are soft drinks giants, Coca-Cola and Pepsico putting in so much effort on publicity campaigns in India after the decline in their sales? The answer lies in the fact that their success is dependent not merely on their internal management, but also on many external forces as, for example, decisions and actions of governments, consumers, other business firms and even non-government organisations (NGOs) like CSE. In this chapter, we shall identify certain important external forces (or environmental conditions) and their impact on the operations of business enterprises. (i) Totality of external forces: Business environment is the sum total of all things external to business firms and, as such, is aggregative in nature. (ii) Specific and general forces: Business environment includes both specific and general forces. Specific forces (such as investors, customers, competitors and suppliers) affect individual enterprises directly and immediately in their day-to-day working. General forces (such as social, political, legal and technological conditions) have impact on all business enterprises and thus may affect an individual firm only indirvectly. (iii) Inter-relatedness: Different elements or parts of business environment are closely inter-related. For example, increased life expectancy of people and increased awareness for health care have increased the demand for many health products and services like diet Coke, fat-free cooking oil, and health resorts. New health products and services have, in turn, changed people’s life styles. (iv) Dynamic nature: Business environment is dynamic in that it keeps on changing whether in terms of technological improvement, shifts in consumer preferences or entry of new competition in the market. (v) Uncertainty: Business environment is largely uncertain as it is very difficult to predict future happenings, especially when environment changes are taking place too frequently as in the case of information technology or fashion industries. (vi) Complexity: Since business environment consists of numerous interrelated and dynamic cond-itions or forces which arise from different sources, it becomes difficult to comprehend at once what exactly constitutes a given environment. In other words, environment is a complex pheno-menon that is relatively easier to understand in parts but difficult to grasp in its totality. For example, it may be difficult to know the extent of the relative impact of the social, economic, political, technological or legal factors on change in demand of a product in the market. (vii) Relativity: Business environment is a relative concept since it differs from country to country and even region to region. Political conditions in the USA, for instance, differ from those in China or Pakistan. Similarly, demand for sarees may be fairly high in India whereas it may be almost non-existent in France. (i) It enables the firm to identify opportunities and getting the first mover advantage: Opportunities refer to the positive external trends or changes that will help a firm to improve its performance. Environment provides numerous opportunities for business success. Early identification of opportunities helps an enterprise to be the first to exploit them instead of losing them to competitors. For example, Maruti Udyog became the leader in the small car market because it was the first to recognise the need for small cars in an environment of rising petroleum prices and a large middle class population in India. (ii) It helps the firm to identify threats and early warning signals: Threats refer to the external environment trends and changes that will hinder a firm’s performance. Besides opportunities, environment happens to be the source of many threats. Environmental awareness can help managers to identify various threats on time and serve as an early warning signal. For example, if an Indian firm finds that a foreign multinational is entering the Indian market with new substitutes, it should act as a warning signal. On the basis of this information, the Indian firms can prepare themselves to meet the threat by adopting such measures as improving the quality of the product, reducing cost of the production, engaging in aggressive advertising, and so on. (iii) It helps in tapping useful resources: Environment is a source of various resources for running a business. To engage in any type of activity, a business enterprise assembles various resources called inputs like finance, machines, raw materials, power and water, labour, etc., from its environment including financiers, government and suppliers. They decide to provide these resources with their own expectations to get something in return from the enterprise. The business enterprise supplies the environment with its outputs such as goods and services for customers, payment of taxes to government, return on financial investment to investors and so on. Because the enterprise depends on the environment as a source of inputs or resources and as an outlet for outputs, it only makes sense that the enterprise designs policies that allow it to get the resources that it needs so that it can convert those resources into outputs that the environment desires. This can be done better by understanding what the environment has to offer. (iv) It helps in coping with rapid changes: Today’s business environment is getting increasingly dynamic where changes are taking place at a fast pace. It is not the fact of change itself that is so important as the pace of change. Turbulent market conditions, less brand loyalty, divisions and sub-divisions (fragmentation) of markets, more demanding customers, rapid changes in technology and intense global competition are just a few of the images used to describe today’s business environment. All sizes and all types of enterprises are facing increasingly dynamic environment. In order to effectively cope with these significant changes, managers must understand and examine the environment and develop suitable courses of action. (v) It helps in assisting in planning and policy formulation: Since environment is a source of both opportunities and threats for a business enterprise, its understanding and analysis can be the basis for deciding the future course of action (planning) or training guidelines for decision making (policy). For instance, entry of new players in the market, which means more competition may make an enterprise think afresh about how to deal with the situation. (vi) It helps in improving performance: The final reason for understanding business environment relates to whether or not it really makes a difference in the performance of an enterprise. The answer is that it does appear to make a difference. Many studies reveal that the future of an enterprise is closely bound up with what is happening in the environment. And, the enterprises that continuously monitor their environment and adopt suitable business practices are the ones which not only improve their present performance but also continue to succeed in the market for a longer period. Existing structure of the economy in terms of relative role of private and public sectors. (i) Economic Environment: Interest rates, inflation rates, changes in disposable income of people, stock market indices and the value of rupee are some of the economic factors that can affect management practices in a business enterprise. Short and long term interest rates significantly affect the demand for product and services. For example, in case of construction companies and automobile manufacturers, low longer-term rates are beneficial because they result in increased spending by consumers for buying homes and cars on borrowed money. Similarly, a rise in the disposable income of people due to increase in the gross domestic product of a country creates increasing demand for products. High inflation rates generally result in constraints on business enterprises as they increase the various costs of business such as the purchase of raw materials or machinery and payment of wages and salaries to employees. Read the newspapers of the past fifteen days and note the changes in any five economic policies made by the government. Analyse their impact on the working of business enterprises. Doing away with requirement of Bank Guarantee in case of exporters with turnover of above Rs. 5 Crores. (ii) Social Environment: The social environment of business include the social forces like customs and traditions, values, social trends, society’s expectations from business, etc. Traditions define social practices that have lasted for decades or even centuries. For example, the celebration of Diwali, Id, Christmas, and Guru Parv in India provides significant financial opportunities for greetings card companies, sweets or confectionery manufacturers, tailoring outlets and many other related business. Values refer to concepts that a society holds in high esteem. In India, individual freedom, social justice, equality of opportunity and national integration are examples of major values cherished by all of us. In business terms, these values translate into freedom of choice in the market, business’s responsibility towards the society and non-discriminatory employment practices. 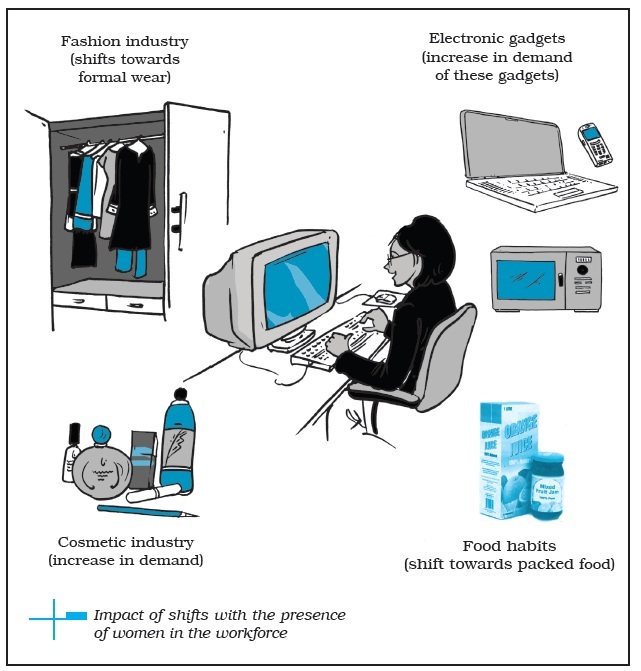 Social trends present various opportunities and threats to business enterprises. For example, the health-and-fitness trend has become popular among large number of urban dwellers. This has created a demand for products like organic food, diet soft drinks, gyms, bottled (mineral) water and food supplements. This trend has, however, harmed business in other industries like dairy processing, tobacco and liquor. Contact any ten families known to you. Find out the changes in their consumption habits over the last five years. Analyse the impact of these changes on the working of business enterprises. which companies advertise their products. It is common now to see CD-ROM’s, computerised information kiosks, and Internet/ World Wide Web multimedia pages highlighting the virtues of products. Similarly, retailers have direct links with suppliers who replenish stocks when needed. Manufacturers have flexible manufacturing systems. 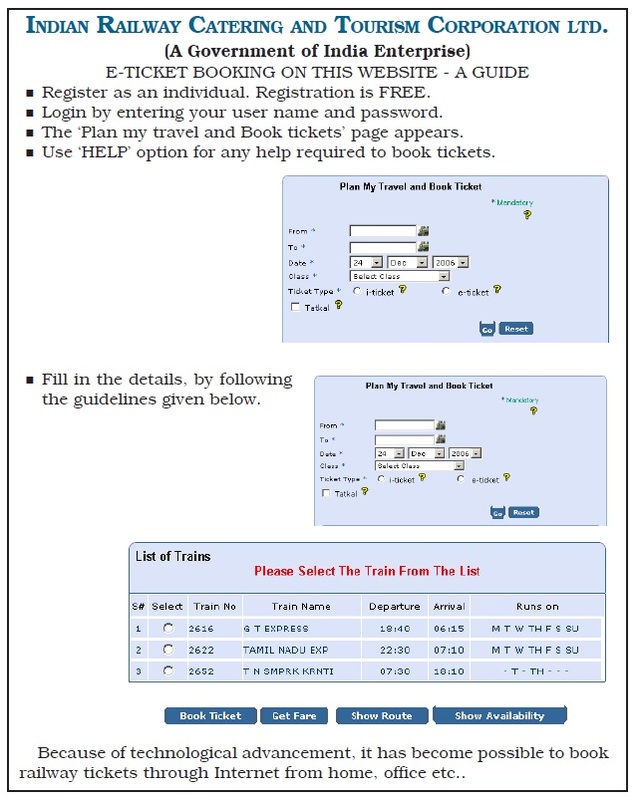 Airline companies have Internet and World Wide Web pages where customers can look for flight times, destinations and fares and book their tickets online. In addition, continuing innovations in different scientific and engineering fields such as lasers, robotics, biotechnology, food preservatives, medicine, telecommunication and synthetic fuels have provided numerous opportunities and threats for many different enterprises. Shifts in demand from vaccum tubes to transistors, from steam locomotives to dieseland electric engines, from fountain pens to ballpoint, from propeller airplanes to jets, and from typewriters to computer based word processors, have all been responsible and creating new business. thus, builds up confidence among business people to invest in the long term projects for the growth of the economy. Political instability can shake that confidence. Similarly, the attitudes of government officials towards business may have either positive or negative impact upon business. For example, even after opening up of our economy in 1991, foreign companies found it extremely difficult to cut through the bureaucratic red tape to get permits for doing business in India. Sometimes, it took months to process even their application for the purpose. As a result these companies were discouraged from investing in our country. The situation has improved over time. (v) Legal Environment: Legal environment includes various legislations passed by the Government administrative orders issued by government authorities, court judgments as well as the decisions rendered by various commissions and agencies at every level of the government— centre, state or local. It is imperative for the management of every enterprise to obey the law of the land. Therefore, an adequate knowledge of rules and regulations framed by the Government is a pre-requisite for better business performance. Non-compliance of laws can land the business enterprise into legal problems. In India, a working knowledge of Companies Act 1956; Industries (Development and Regulations) Act 1951; Foreign Exchange Management Act and the Imports and Exports (Control) Act 1947; Factories Act, 1948; Trade Union Act; 1926; Workmen’s Compensation Act, 1923; Industrial Disputes Act, 1947, Consumer Protection Act, 1986, Competition Act, 2002 and host of such other legal enactments as amended from time to time by the Parliament, is important for doing business. Impact of legal environment can be illustrated with the help of government regulations to protect consumer’s interests. For example, the advertisement of alcoholic beverages is prohibited. Advertisements, including packets of cigarettes carry the statutory warning ‘Cigarette smoking is injurious to health’. Similarly, advertisements of baby food must necessarily inform the potential buyer that mothers milk is the best. All these regulations are required to be followed by advertisers. (a) Stage of economic development of the country. (b) The economic structure in the form of mixed economy which recognises the role of both public and private sectors. (c) Economic policies of the Government, including industrial, mone-tary and fiscal policies. (d) Economic planning, including five year plans, annual budgets, and so on. modes of transportation communication facilities, and so on. Business enterprises in India do realise the importance and impact of the economic environment on their working. Almost all annual company reports presented by their chairpersons devote considerable attention to the general economic environment prevailing in the country and an assessment of its impact on their companies. (e) Communicable diseases were widespread, mortality rates were high. These was no good public health system. (d) Adopt a socialist pattern of development — based on equality and prevent exploitation of man by man. A serious fiscal crisis in which the fiscal deficit reached the level of 6.6 per cent of GDP in 1990-91. Heavy internal debt which rose to about 50 per cent of GDP with interest payments draining about 39 per cent of total revenue collections of the central government. Low GNP growth rate which fell to 1.4 per cent from the peak level of 10.5 per cent in 1988-89 (at 1980-81 prices). Low overall agricultural production, foodgrain production and industrial production showed negative growth rates of –2.8 per cent, –5.3 per cent and –0.1 per cent respectively. Soaring inflation rate based both on wholesale price index and consumer price index (for industrial workers) at 13-14 per cent. Shrinkage of foreign trade, imports (in $ terms) fell by 19.4 per cent and exports by 1.5 per cent. Depreciation of rupee by 26.7 per cent vis-à-vis US dollars. Fall of foreign exchange reserves to such a low level that they were barely adequate to meet the import requirements of a few weeks. on-resident Indians (NRIs) were withdrawing their deposits at an alarmingly high rate. The confidence of the international financial institutions was badly shaken and in just over a year its creditworthiness rating fell from AAA to BB+(put on credit watch). The country was on the verge of defaulting on international financial obligations and the situation warranted immediate policy action to save the situation. In May 1991, the Government had to lease 20 tones of gold out of its stock to the State Bank of India to enable it to sell the gold with repurchase option after six months. In addition, Reserve Bank of India was allowed to pledge 47 tones of gold to the Bank of England to raise a loan of $600 million. infrastructure industries whereas the private sector was broadly given the responsibility of developing consumer goods industry. At the same time, the government imposed several restrictions, regulations and controls on the working of private sector enterprises. India’s experience with economic planning has delivered mixed results. In 1991 the economy faced a serious foreign exchange crisis, high government deficit and a rising trend of prices despite bumper crops. As a part of economic reforms, the Government of India announced a new industrial policy in July 1991. (a) The Government reduced the number of industries under compulsory licensing to six. (b) Many of the industries reserved for the public sector under the earlier policy, were dereserved. The role of the public sector was limited only to four industries of strategic importance. (c) Disinvestment was carried out in case of many public sector industrial enterprises. (d) Policy towards foreign capital was liberalised. The share of foreign equity participation was increased and in many activities 100 per cent Foreign Direct Investment (FDI) was permitted. (e) Automatic permission was now granted for technology agreements with foreign companies. (f) Foreign Investment Promotion Board (FIPB) was set up to promote and channelise foreign investment in India. Appropriate measures were taken to remove obstacles in the way of growth and expansion of industrial units of large industrial houses. Small-scale sector was assured all help and accorded due recognition. In essence, this policy has sought to liberate industry from the shackles of the licensing system (liberalisation), drastically reduce the role of the public sector (privatisation) and encourage foreign private participation in India’s industrial development (globalisation). (vii) making it easier to attract foreign capital and technology to India. Amendment of the MRTP Act to eliminate the need for prior approval of the Central Government by large companies for capacity expansion, diversification and merger and amalgamation. Import licensing in most capital goods, raw materials, intermediates and components eliminated. Advance Licensing System considerably simplified. The initial series of measures set the tone for the future economic reforms. Any of the measures taken above was continued to form a part of the ongoing reform process of the development strategy pursued so far by Indian planners. To achieve this, the government redefined the role of the public sector in the New Industrial Policy of 1991, adopted the policy of planned disinvestments of the public sector and decided to refer the loss making and sick enterprises to the Board of Industrial and Financial Reconstruction. The term disinvestments used here means transfer in the public sector enterprises to the private sector. It results in dilution of stake of the Government in the public enterprise. If there is dilution of Government ownership beyond 51 percent, it would result in transfer of ownership and management of the enterprise to the private sector. (vi) A global governance perspective. Make a list of five Indian companies which have global operations today. Find out the major products they sell and the countries where they operate. boundaries no longer remain barriers for a business enterprise to serve a customer in a distant geographical market. This has been made possible by the rapid advancement in technology and liberal trade policies by Governments. Through the policy of 1991, the government of India moved the country to this globalisation pattern. (i) Increasing competition: As a result of changes in the rules of industrial licensing and entry of foreign firms, competition for Indian firms has increased especially in service industries like telecommunications, airlines, banking, insurance, etc. which were earlier in the public sector. (ii) More demanding customers: Customers today have become more demanding because they are well-informed. Increased competition in the market gives the customers wider choice in purchasing better quality of goods and services. it possible to improve machines, process, products and services. The rapidly changing technological environment creates tough challenges before smaller firms. (iv) Necessity for change: In a regulated environment of pre-1991 era, the firms could have relatively stable policies and practices. After 1991, the market forces have become turbulent as a result of which the enterprises have to continuously modify their operations. (v) Need for developing human resource: Indian enterprises have suffered for long with inadequately trained personnel. The new market conditions require people with higher competence and greater commitment. Hence the need for developing human resources. (vi) Market orientation: Earlier firms used to produce first and go to the market for sale later. In other words, they had production oriented marketing operations. In a fast changing world, there is a shift to market orientation in as much as the firms have to study and analyse the market first and produce goods accordingly. (vii) Loss of budgetary support to the public sector: The central government’s budgetary support for financing the public sector outlays has declined over the years. The public sector undertakings have realised that, in order to survive and grow, they will have to be more efficient and generate their own resources for the purpose. On the whole, the impact of Government policy changes particularly in respect of liberalisation, privatisation and globalisation has been positive as the Indian business and industry has shown great resilience in dealing with the new economic order. Indian enterprises have developed strategies and adopted business processes and procedures to meet the challenge of competition. They have become more customer-focused and adopted measures to improve customer relationship and satisfaction. 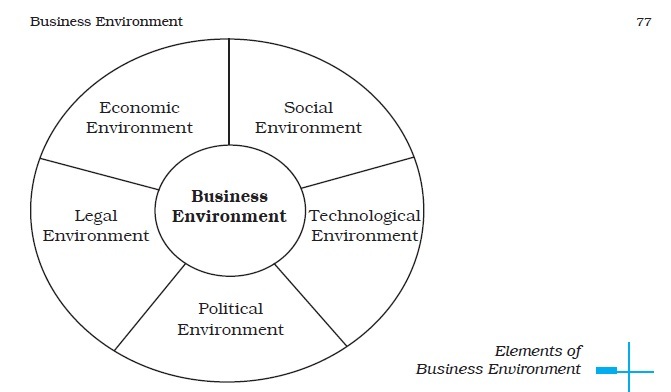 Elements of business environment: Business environment consists of five important dimensions including economic, social, technological, political and legal. Economic environment includes such factors as interest rates, inflation rates, changes in disposable income of people, stock market indexes and the value of rupee. Social environment includes social forces like traditions, values, social trends, society’s expectations of business, and so on. Technological environment includes forces relating to scientific improvements and innovations which provide new ways of producing goods and services and new methods and techniques of operating a business. Political environment includes political conditions such as general stability and peace in the country and specific attitudes that elected government representatives hold toward business. Economic environment in India: The economic environment in India consists of various macro-level factors related to the means of production and distribution of wealth which have an impact on business and industry. The economic environment of business in India has been steadily changing since Independence mainly due to government policies. In order to solve economic problems of our country at the time of Independence, the government took several steps including control by the state of key industries, central planning and reduced importance of the private sector. These steps delivered mixed results until 1991 when Indian economy happened to face serious foreign exchange crisis, high government deficit and a rising trend of prices despite bumper crops. Liberalisation, privatisation and globalisation: As a part of economic reforms, the Government of India announced a new industrial policy in July 1991 which sought to liberate the industry from the shackles of the licensing system (liberalisation), drastically reduce the role of the public sector (privatisation) and encourage foreign private participation in industrial development (globalisation). 1. Which of he following does not characterise the business environment? 2. Which of the following best indicates the importance of business environment? 3. Which of the following is an example of social environment? 5. Which of the following does not explain the impact of Government policy changes on business and industry? 1. What do you understand by business environment? 2. Why it is important for business enterprises to understand their environment? Explain briefly. 3. Mention the various dimensions of business environment. 5. Briefly discuss the impact of Government policy changes on business and industry. 1. How would you characterise business environment? Explain, with examples, the difference between general and specific environment. 2. How would you argue that the success of a business enterprise is significantly influenced by its environment? 3. Explain, with examples, the various dimensions of business environment. 4. What economic changes were initiated by the Government under the Industrial Policy, 1991? What impact have these changes made on business and industry? (b) Privatisation and (c) Globalisation? 1. Select a business enterprise with which you are familiar. From your recollection of current events (events you may have read about in newspapers or magazines or have heard about on television or radio) identify some of the important environmental force, which have had impact on this enterprise. 2. 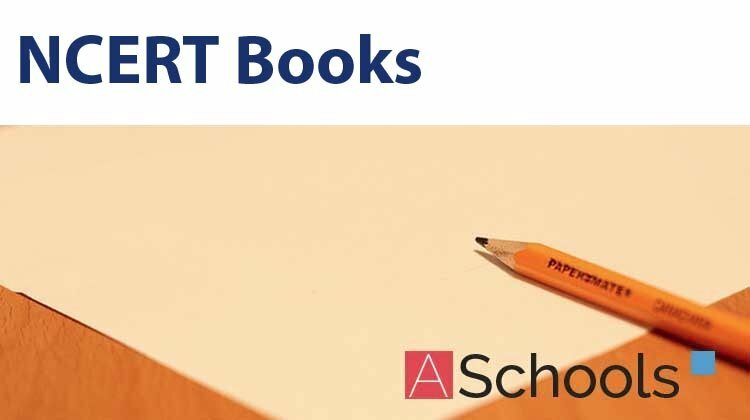 Select a major Indian company for which there is considerable information available in your school library. Analyse the impact of changes in the Government policies on the working of this company. Lately many companies have planned for significant investment in organised retailing in India. Several factors have prompted their decisions in this regard. Customer income is rising. People have developed a taste for better quality products even though they may have to pay more. The aspiration levels have increased. The government has also liberalised its economic policies in this regard and permitted even cent percent foreign direct investment in some sectors of retailing. 1. Identify changes in business environment under different heads — economic, social, technological, political and legal that have facilitated the companies’ decisions to plan significant investments in organised retailing. 2. What has been the impact of these changes with regard to globalisation and privatisation?